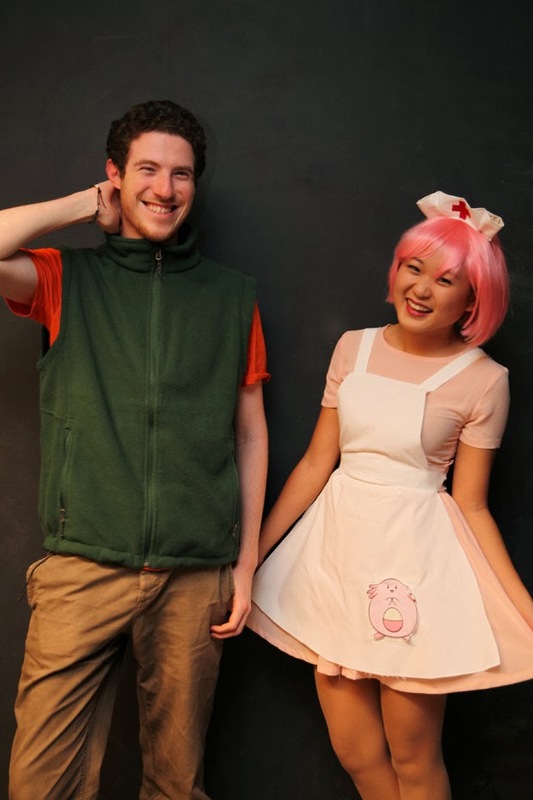 Jeremy and I have wanted to be Brock and Nurse Joy (from Pokémon) for about two years now and we finally made it happen. 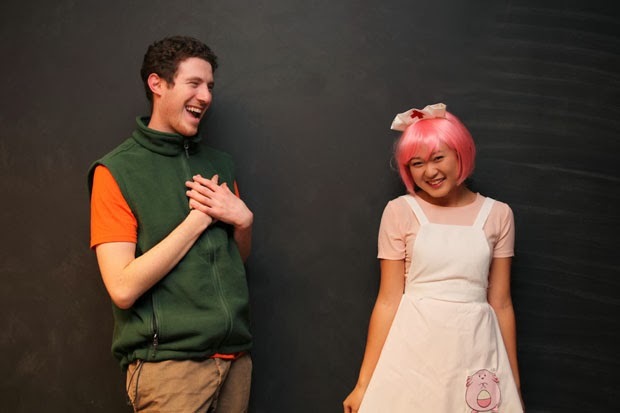 Ever since middle school, I decided to stop buying costumes from the store and to just make them with things in my own closet (or things that I can find myself wearing again in real life), hence my series of homemade halloween costumes. The only thing I regret is not having my actual wig come in time, which is why I'm rocking a bob instead of giant loops of hair. Alas! What did you guys dress up as for Halloween this year? how cute!! you look like a jigglypuff yourself! so adorable! YOU WERE A JEDI?! Marry me. This year I was a ninja turtle. Made the entire costume in 3 hours while watching Ferris Bueller. It's actually pretty amazing if I do say so myself. Haaaaaaa!!! That apron is so cute. You guys are so cute! omg!!! TOO CUTE!!! :D i love this! You make the cutest little nurse ever!